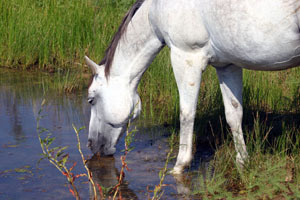 Tips: You Can Lead a Horse to Water, But... - Get Susan Marketing, LLC. You know what they say: you can lead a horse to water, but you can’t make it drink. Same is true for you and your business… you can use all the marketing tactics in the world to get people to you, but that doesn’t guarantee they’ll buy. Marketing is just one part of the equation. If you’ve committed to a marketing plan but haven’t seen the results you were expecting, then something is wrong. Sometimes finding a solution just means getting back to the basics. 1. Answer the phone. Sounds self-explanatory, right? Small businesses typically have a lot to do with not a lot of resources, this makes it easy to let your calls go to voice mail. This could be a mistake. In fact, it’s so rare to talk to a real person that it’s a treat when you can. 2. Return calls. If you absolutely are unable to answer the phone, at least return the calls that you get. And, not just the leads. Everyone deserves a call back- even us pesky sales reps. You never know who is going to be a potential customer. 3. Be friendly. Customers don’t care if you’re having a bad day. When you’re at work you should always put the customer first and this means being friendly. 4. Be presentable. I don’t care what your profession is, make sure you’re as presentable as you can be so that you leave a good impression. 5. Your team. Is everyone on your team committed to the success of your business? Are they following general guidelines to be friendly and presentable? Pay attention to how your employees represent. You wouldn’t believe how many small businesses have one bad apple ruining the rest of the barrel. These tips may seem obvious, but in our rush-rush world of too much to do and too little time, it’s easy for the small business to forget the basics of customer service. I am a committed consumer of “local and small” and it’s so disheartening when I’m left with a bad taste in my mouth because of a rude waitress or an unreturned call for a home service. I encourage you to go above and beyond to bring customers, like me, back again and again. Susan, as a marketer/salesperson, it’s not our job to make the horses drink, it’s our job to make them thirsty. Scott – I totally agree that marketers and salespeople are the ones to make the “horses thirsty,” but if the small business owners don’t succeed in making them drink, then we will all suffer. I really like there to be a more well rounded approach to sales and marketing.